Worldwide turmoil and chaos have caused many to turn to biblical prophecy for answers only to become confused. They then turn to those who profess to understand those prophecies and become even more confused because of the many different opinions. Perhaps there is something major wrong with our understanding of the seven years we refer to as the tribulation. The seven seals, trumpets, and vials are twenty-one separate judgments - or are they? And they consume all seven of those years - or do they? Those seven years are filled with wrath - or are they? A major nuclear war could account for most of God's wrath. It is now biblically possible to see how all of God's wrath will likely be confined to the last year of those seven years. Previously it was a challenge to try and fit all the many other prophesized events into those seven years. Now: The Closer We Get, the Clear the Vision makes it much easier. The Bible is the best commentary for the Bible. 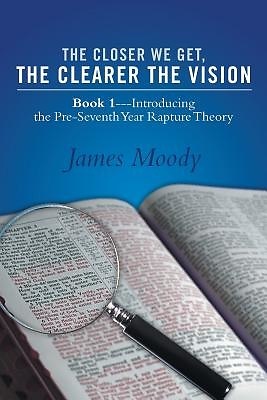 This book 1 titled: Introducing the Pre-Seventh-Year Rapture Theory contains about nine hundred Bible verses and partial verses to support its conclusions with the least amount of commentary as possible for clarity. Prepare to be utterly amazed as the results of these studies unveil concepts and possibilities that most of us have never considered or even imagined.